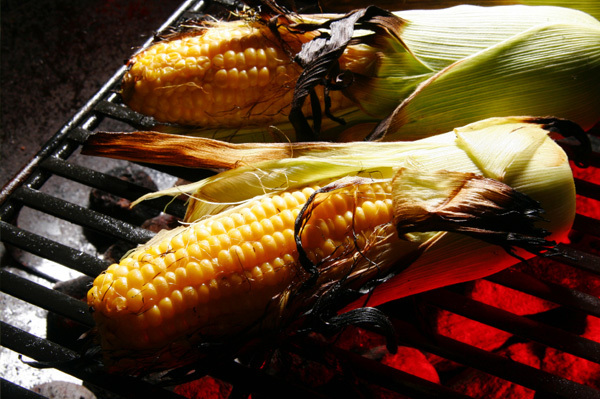 Grilled corn on the cob cooked in the husk and slathered with butter is a delicious side dish at any summer meal. But this tender, smoky veggie can be so much more. Here are eight extraordinary things you can do with grilled corn on the cob. onions and peppers in your favorite type of tortilla. worth of grilled corn kernels to your cornbread mix before baking. The smoky whole kernels keep their chewy texture and some of their moisture, making your cornbread mouthwateringly moist. a dollop of sour cream, a few ribbons of basil, and a drop or two of hot sauce. balls of corn into a beer batter and fry them in peanut oil until golden brown. Serve hot with ranch dressing. peppers and garlic for a tasty take on this often maligned bean and corn dish. with its jalapeno heat, smoky corn sweetness, and savory tomato and black bean flavors — is a dynamite accompaniment for chips and for topping burgers and grilled meats. corn, slather it on cornbread or stir it into grilled corn kernels. Yum!